After a period of fog, rain, and snow blankets the area, three German armies unleash 26 divisions against thinly held American lines in the Ardennes forest of Belgium and Luxembourg. The objective of the Germans is to push through the Ardennes, then cross the Meuse River and head for Antwerp. Hitler hopes to split the Allied armies apart and smash their vital supply port at Antwerp. Can the Americans stop them? Historically, the German army trampled the American VIII Corps and penetrated within two miles of the Meuse. The Americans stubbornly fought the Germans at many critical crossroads slowing and then stopping Germany's elite forces. Historically, the German offensive achieved little except to create a "bulge" in the American line. Ardennes '44 explores this fascinating campaign with a detailed order of battle and an extremely accurate Ardennes game map which covers the area from the Our River to the Meuse. Ardennes '44 covers the period from December 16th to the 26th. Two shorter one-map scenarios are included which cover the initial stages of the German attack. The Ardennes '44 game system is designed by Mark Simonitch, winner of the CSR James F. Dunnigan Award for Design Elegance and Best WWII Board Game of 2000 for Ukraine '43. 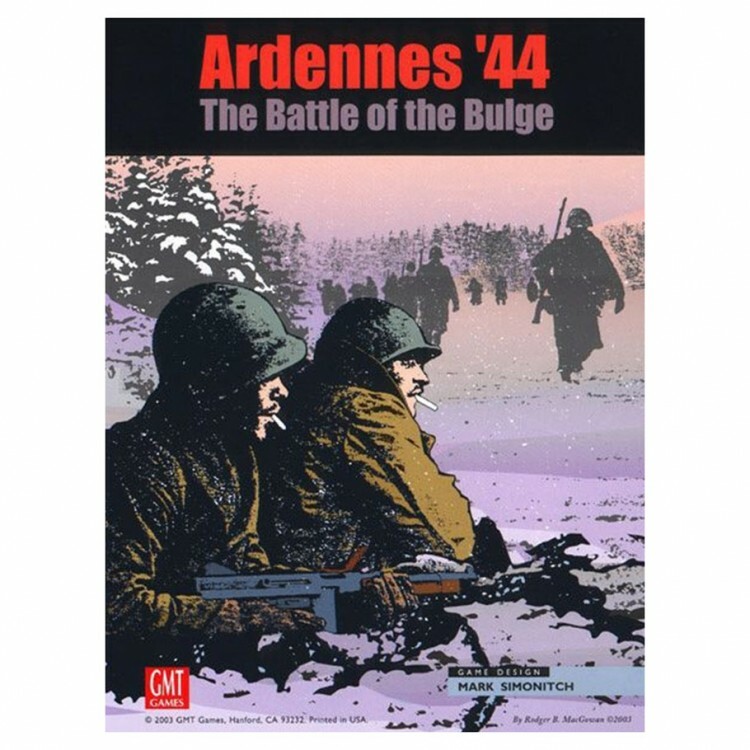 The result is Ardennes '44, a game that both the "Bulge enthusiast" and the casual player will enjoy. German attacks follow historical advance routes, and the Bastogne and St. Vith defense perimeters are often as large as they were historically (instead of one big stack of units in the town itself). The Allied player has a chance at holding Elsenborn Ridge and making the Germans pay dearly for the twin villages of Rockerath and Krinkelt. Likewise, the German player has an equal chance of changing history and reaching the Meuse River.